Having a Georgia suspended license can affect your whole life â€“ getting to work, school, or anywhere else can seem impossible without a license. Taking the risk to drive on a suspended license might almost seem worth it until you consider all of the risks you are actually taking. If you weigh your options carefully, you will find that the risk of being caught driving on a suspended license just isnâ€'t worth the trouble. A driving on a suspended license charge in Georgia can result in jail time and a fine upwards of $1000. Hiring a local experienced criminal defense attorney is an important step in obtaining the best possible course of action for your legal defense. Let’s be clear, driving on a suspended license is a serious crime. The penalties can be severe. You should really consider paying someone for a ride, public transportation, or even a taxi instead of finding out the severity of the penalties the hard way. Any of these options will cost you less time and money than being caught driving on a suspended license. Even a first offense of driving on a suspended license will cost you a minimum of 2 days in jail, and a fine between $500 and $1000. In addition, you may be required to pay two license reinstatement fees, and take two defensive driving classes. A second offense within a five-year period results in a minimum of 10 days in jail, and a fine between $1000 and $2500. Further, having three or more serious driving offenses within a five-year period, makes you a habitual violator. This means you are subject to a 2 year license revocation, regardless of the circumstances surrounding your third offense. Even worse, for every driving on a suspended license conviction, your suspension will be extended for 6 months, you become ineligible for a limited driving permit, and your license will be confiscated, attached to the citation, and forwarded to DDS. 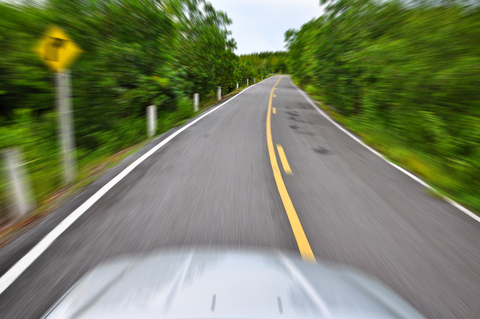 If you are caught driving on a suspended license, you should contact an attorney immediately. Georgia Traffic Attorney, Anne Bishop, is an experienced local attorney that has handled a variety of these cases, and can offer sound legal options for your particular case based upon your driving history. We understand that sometimes drivers are not aware their licenses have even been suspended. In fact there are a lot of reasons Georgia will suspend a driver’s license that drivers may not be aware of. – Felony forgery relating to an Identification document. At A. Bishop Law, our biggest goal is to make sure our clients are knowledgeable about the law. Not knowing or understanding what might suspend a driver’s license could leave a driver vulnerable to a suspended license charge. Just simply not knowing, is not a defense. Our Traffic Attorney A. Bishop Law will work diligently to make sure that you are well informed of your legal options and defenses you have as they prepare to represent you on your charges. Please see our Georgia Speeding & Traffic Law section in our video & Article Library for more information about Georgia driving laws. For more information on Breakfield & Associates, Attorneys’ Georgia criminal defense services, including speeding tickets, under 21 violations, DUI and Georgia Super Speeder citations, please email us or call us at 770-783-5296 if you have been given a citation for a speeding ticket or traffic violation. Your initial consultation is free & confidential.